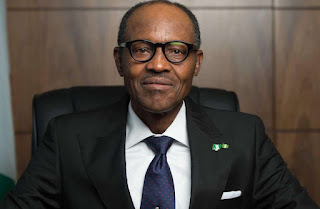 President Muhammadu Buhari says his administration is working very hard to restructure the Nigerian economy, battered by several years of mismanagement. A statement issued by the President’s Special Adviser on Media and Publicity, Mr Femi Adesina, said Buhari stated this in Abuja on Monday while receiving the Chief Global CEO of Unilever, Mr Paul Polman. The statement quoted the President as saying that Nigeria is paying dearly for the incompetent management of the massive revenue that accrued to the nation from oil. It also quoted Buhari as saying that the country was particularly paying dearly for over a decade's decay of critical infrastructure. ''We refused to save for the rainy day. Now the rain is beating us. "No money, no savings, nothing. And we are thoroughly wet from the rains," he said. President Buhari said Nigeria was paying the price for turning itself into a mono-economy. He, however, assured that the country would soon be able to feed its citizens and even export, given his administration's focus on the development of the agriculture sector. He assured that the Federal Government would fast-track the implementation of strategies to ease doing business and to attract more investors to Nigeria. "We want to create jobs, and supporting manufacturing is one way to do it. "As soon as we have stabilised our budget, I would personally be interested in the manufacturing sector, particularly in the generation of essential raw materials," the President said.